There are many people who cycle on the roads today and this number goes into millions. These cyclists are giving competition to motorcar drivers for space on the roads. A bicycle accident claim will come up as a result of a lack of any type of protective barriers. Cyclists would be vulnerable when they ride out on the main roads. The odds of these cyclists getting an injury are very high on account of collisions or losing balance of their bicycles due to hurdles like potholes or various other deceptive road blocks. When you get involved in a bicycle accident on a road and you are certain that the injury was not as a result of your fault, you have a right to make a claim for compensation for that accident and injury. If you want your compensation claim to meet with success after a bicycle accident and after sustaining an injury, you have to make sure that your injuries are not made to look worse than they actually are. It is better to get off the road and out of harm’s way after an accident. You have to assess the injury that you have sustained and when required, you may have to call an ambulance or seek assistance to get medical help. You have to identify a witness who saw what actually happened and gather his contact details. If you have managed to get the details of the number plate of the vehicle with which you collided, it would be of significant help. If you are carrying a smart phone, you may also like to take photos of the scene of the accident and of the damage to your bicycle. When you file a police complaint, it is better to keep a copy of the First Information Report along with ambulance and medical reports. These things would be extremely valuable as supporting documentation when you file for a compensation claim. For a successful claims process, it would be ideal to get in touch with a legal firm that is experienced in bicycle accident claims instead of trying to handle the entire process yourself. Specialist personal injury lawyers would begin the process by gathering evidence to support the cycle accident claim you have made. As soon as sufficient information is collected, the firm of solicitors or lawyers will send a letter of claim to the defendant who can be held responsible for your accident. This defendant is referred to as the third party. You will be the claimant. Once the insurer of the defendant acknowledges receipt of the claim letter, the insurance company has a period of three months to decide on whether they will settle your claim or not. The defendant may reject your claim and deny his or her liability. In such cases, the defendant has to give reasons for denial of the claim and support that denial with documents. When this happens, your lawyers have to respond accordingly. The medical report issued by your attending doctor becomes an important document when you have to take your accident claim to the court. Particulars of Claim’ document has to be filled and it has to include the entire basis of your losses and your claim. To make things easier for bicycle accidents claim cases, the Ministry of Justice went on to introduce a new process for electronic claims since April 2010. It helps simplify the process that used to be tedious. The Judicial Studies Board has issued guidelines about the amount of compensation that you would be entitled to. 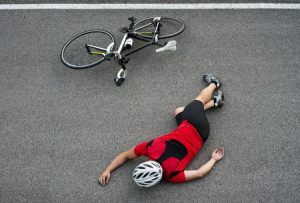 If you were wondering how much compensation can I claim for a cycling accident the Judicial Studies Board helps the personal injury lawyers to answer this question and the amount of compensation is also based on the injuries that you have suffered in a bicycle accident. What can you include in your claim? Loss of your regular earnings – when you are compelled by your injury to lose your pay, you can claim that loss. You have to offer evidence of the earnings you lost. Travel costs – If your cycle is your only means of transportation and if you have to take public transport after the accident, you can claim compensation based on the total mileage that you have travelled. It is better to keep receipts for all out of pocket expenditure. When the bicycle gets damaged and it has to be repaired, the cost of repair could be added in your compensation claim. 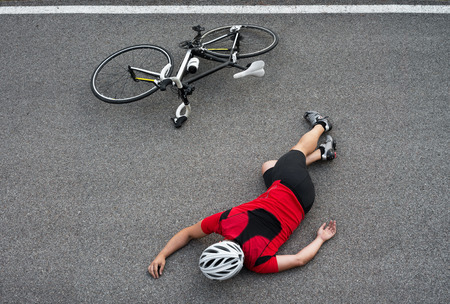 After considering all possible scenarios, it is imperative that you maintain and produce necessary receipts and all other documentation as it is essential to substantiate all your claims concerning the bicycle accident. You also have to remember that filing for a compensation claim after such an accident is not a simple procedure. It would be worthwhile to use the services of a personal injury lawyer than to make an attempt to file that compensation claim on your own. This entry was posted in News on August 6, 2016 by admin2.